Being loud just to be loud is easy. It’s been easy for years. Turning up the volume without causing listener fatigue – that’s the real challenge. NEW X3 technology inside our AirAura delivers that sought-after loudness without ever sounding harsh, clipped, distorted or overdone. It simply sounds real. 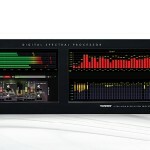 The NEW AirAura X3 spectral audio processor for FM is equipped with processing technologies that simply didn’t exist until now, starting with a new final clipper that creates extremely competitive loudness while also minimizing listener fatigue. Another new technology unique to our NEW third-generation AirAura helps extend perceived stereo coverage, and yet another technology helps hide the annoying coding artifacts that might be present in a station’s stereo source material. 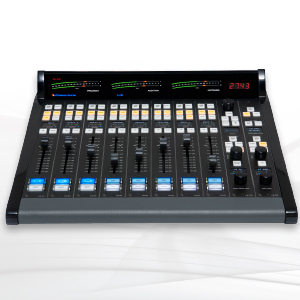 AirAura X3’s incredible dial presence, three selectable stereo multiplex modulation methods, the ability to help mask coding artifacts, and its mitigation of many stereo multipath annoyances as well as its exclusive clipper technology make it THE processor for on-air FM. 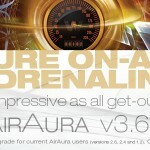 AirAura X3’s has an entirely new final clipping technology that does two things very well: loud and clean. Simultaneously. best way to sense and truly mitigate distortion. Other technologies can only make a “best guess” at separating desirable audio components from undesirable distortion products. By analyzing the audio and the distortion products created during peak control, AirAura removes distortion products and other artifacts that a listener might find objectionable. 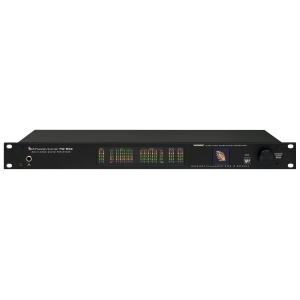 It is highly adept at minimizing intermodulation distortion, especially close-spaced difference frequency intermodulation products in the midrange frequencies where human hearing is the most sensitive. the fact. That is, until now. AirAura X3’s all-new PostCode Tool ™ helps minimize the audibility of coding artifacts in stereo program material without degrading the overall listening experience. By reducing the swishing, swirling, grainy artifacts of coded audio, the AirAura X3 enables listeners to listen as long as they like with no fatigue. 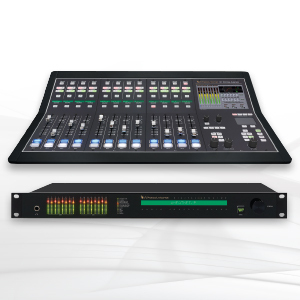 The AirAura X3 has an entirely new algorithm for selectively processing only those frequencies that need processing, which overcomes the limitations of peak limiters in other on-air processors. Using 31 limiter bands selected according to ISO standard 1/3 octave center frequencies, the AirAura limiters (one for FM, one for HD) perform precision spectral energy control without generating additional density or artifacts usually associated with peak limiters having fewer bands. Operating according to accepted principles of human psychoacoustics, the action of the limiter goes completely unnoticed by the ear. Because of the need for very shallow limiting in each band, there are absolutely no ‘swishing’ artifacts and no unnatural density buildup; just increased on-air loudness, detail, and “listenability” of the station’s programming. AirAura X3 has an entirely new Sweet Spot Technology (SST) that effectively manages the behavior of the multiband AGC as program content density changes, something a typical broadband AGC simply cannot do. It effortlessly handles transitions between the hyper-compressed recordings of today and those of the past that have considerably more dynamic range. SST achieves uncannily natural-sounding consistency in both on-air loudness and spectral balance regardless of density variations in the incoming source material. AirAura X3 has a new and better Vorsis Bass Management System (VBMS) with new tuning features that enhance deep bass without affecting the cleanliness of mid and high frequency program. Bass detail and the clarity of higher frequency audio are enhanced by this more powerful algorithm. If you thought second-generation AirAura bass was something, you will be amazed at the deep and natural sounding bass coming from the AirAura X3. Operating in the sum and difference domain and utilizing specialized spectral management algorithms, AirAura’s Smart Stereo Enhance provides a smooth, natural, wide listening experience without triggering multipath effects. 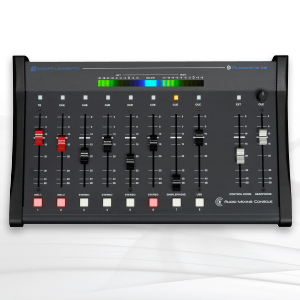 It delivers an extremely stable ‘on-air’ stereo image that’s exciting to listen to. Users have reported hearing, for the very first time, artistically important nuances in familiar music that could not be heard when that material was processed by other on-air processors. 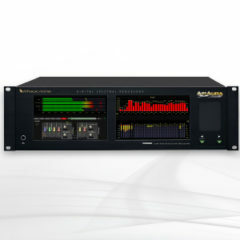 A single AES/EBU cable between a Wheatstone processor and a current solid-state FM transmitter carries the baseband signal, bypassing the need for multiplexing in the exciter and eliminating the resulting signal overshoot with associated loudness tradeoff. 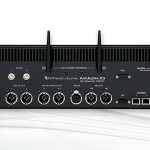 The baseband192 interface is now available as a standard feature in Wheatstone AirAura X3, FM-531HD and VP-8IP audio processors.